With so many products on the market, kitchen design has taken front-and-center attention in new homes and remodeling. From lighting to flooring, backsplashes to cabinetry, there are hundreds of choices to make your kitchen beautiful and functional. Our kitchens are the workhorse of our homes, so one vital aspect of any kitchen are the appliances. Before you pick out your kitchen appliances, here are some tips for selecting the very best choices for you. Big Box Store vs. Appliance Store Purchase – While the appliances may look exactly the same at both stores, the truth is that often the appliances sold at the big box home improvement stores are actually different. Sometimes they are built with lesser-quality parts, have a different warranty or lack some of the features of those sold at appliance stores. Additionally, there may be add-ons – such as delivery and installation – that are already included with an appliance store purchase. Just be sure that you are weighing all of the variables before deciding where to purchase. We often direct our clients to visit LHB Appliances and/or Martin Appliances as they are two appliances companies we work with. Energy Efficiency – Your kitchen appliances use a lot of energy, so you may want to consider selecting one with an EnergyStar® certification. The EnergyStar® website can help you to determine which ones will save you the most money annually. Cooking Style – For range-top cooking, there is electric, gas or induction, which cooks in less time and is becoming more affordable. When selecting your range, consider how much heat is lost from the burner to pan (which not only wastes energy but also heats up your kitchen). If you are leaning toward gas, look at the variable control – how long can the burner maintain “simmer” without the flame going out? Ovens – If you are a baker, you’ll probably want a traditional oven, but if you like meals cooked fast, a high-performance convection oven may be the way to go. Refrigerator/Freezer – Besides storage options and capacity, the biggest factor in selecting this appliance is the compressor. 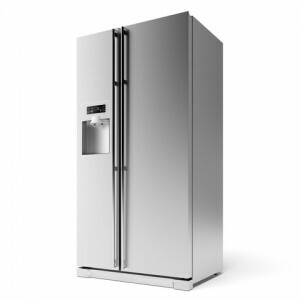 A single compressor cools both the refrigerator and freezer while the dual does each. A dual compressor will keep your food fresher longer, so if you tend to purchase fresh fruits and vegetables or gourmet foods, this may be a feature to invest in. Additionally, some units have built-in purifiers for water and ice, while others simply run water to the unit. Microwaves – This selection is mostly about where the appliance is located. You can have it on the countertop, over the range or built into the cabinetry. Dishwashers – Just like refrigerators, this appliance has made many advances over the years. When choosing a dishwasher, look into the decibel level (e.g., how loud it will be when running) and any additional features you want, such as adjustable ranks or smart sensors. Finally, appliances today come with a lot of bells and whistles, but if you don’t need them or would rarely use them, why pay for them? The key to getting the best appliance for you is to select one that has the features you will use now and will be happy with for years to come. Want more kitchen ideas? See them all on our Houzz page. Posted in Design, New Construction, Renovations on July 15, 2015 by metzler.